Central West Lachlan Landcare are thrilled to be bringing Dr Ash Martin to the area for two soil health workshops. The workshops will be held on 5 and 6 April. Perfect timing for those starting to think about sowing! The first workshop will be held at the Adavale Lane Community Hall on Thursday, 5 April, and the second workshop will be held on Friday, 6 April in the Bedgerabong Hall, both commencing at 9am. Dr Martin PhD, BSc (For) Hons is currently the Business Manager and Senior Partner of Creation Innovation Agriculture & Forestry (CIAAF) & Microbiological Laboratories Australia (Microbe Labs), and sometimes Research Fellow at Monash University, Melbourne depending on major project funding. CIAAF has current links to The University Adelaide, Central Queensland University and government departments in various States. CIAAF and Microbe Labs are committed to proven, scientific, research-based technology to allow customers to make informed decisions agriculture and natural resource management. Don’t be bamboozled by his titles and qualifications! Ash can bring all of the technical information that is produced from soil analysis and testing and make it understandable for use on your property. Microbiology Laboratories Australia (“Microbe Labs”) provides world-class commercial microbiology analyses for agriculture, forestry and the environment. It is a subsidiary of the microbiology consultancy company Creation Innovation Agriculture and Forestry (CIAAF), which was formed in 2007 with the aim of empowering farmers, agronomists, natural resource managers, fertiliser manufacturers and Government to make informed decisions about the use and management of microbiology in soil, water, compost, fertilisers and other media. Australian Microbe Labs are committed to bringing proven, scientific, research-based technology to their customers in a clear, concise, no-nonsense manner to help landholders and agronomists make informed decisions. They believe that this will also help to develop and refine the use of microbiology in agriculture, natural resource management and fertiliser production to the benefit of our primary industries, productivity, health, technology and environment. Ash will also be joined by the Agriwest Agronomical Team at the workshops to bring the information that he is delivering to a landscape level, providing examples and on ground knowledge for the local area. To finish off the week, Central West Lachlan Landcare will be hosting a special celebration dinner on Friday evening after the Bedgerabong Workshop at Forbes Town Hall. The evening will have a host of guest speakers providing informative, encouraging presentations on a host of topics. It’s not just for ‘him’ ladies. 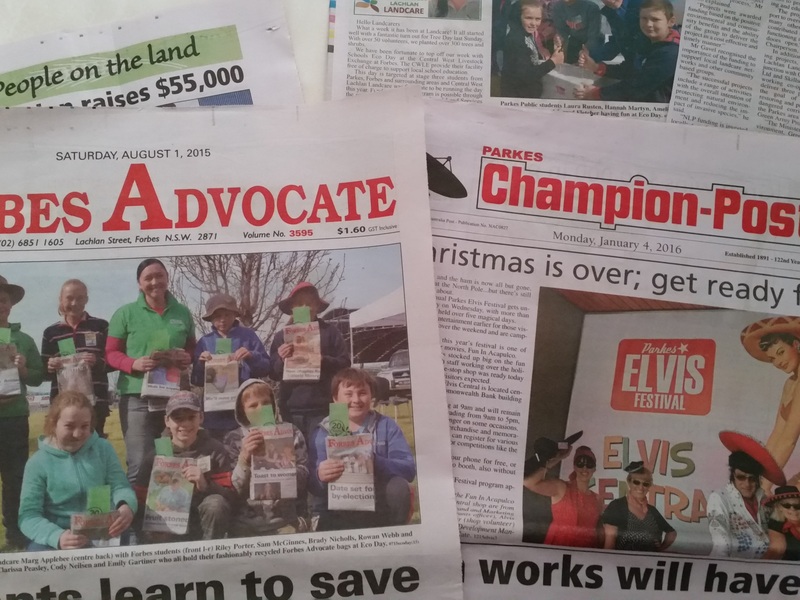 This is Landcare’s opportunity to bring attention to the fabulous initiatives that are being undertaken to promote and utilise regenerative agriculture in the Parkes and Forbes Shires and to hear about all of the fabulous things that are happening in the Central West that often are drowned out by the negative news that quite often seems to drown out ‘the good stuff’. 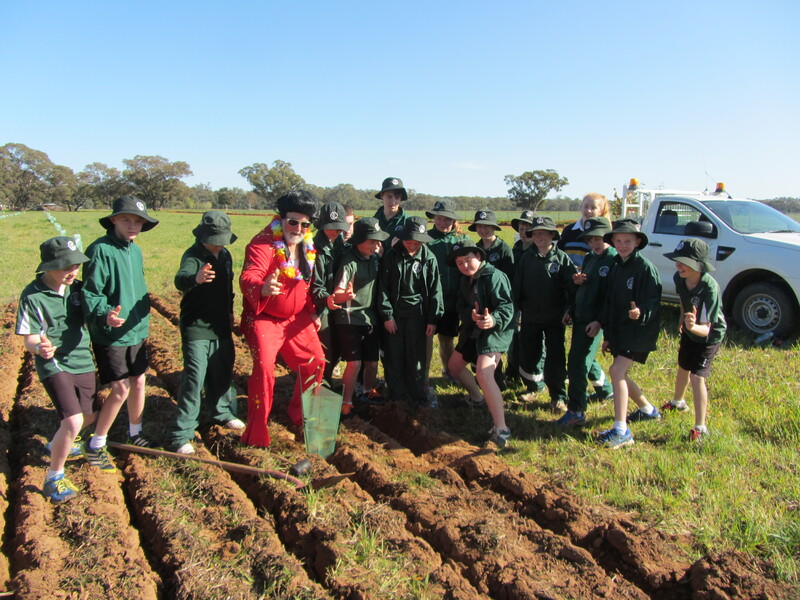 Of course, we will also be celebrating Landcare in our neck of the woods. I will have more information on the Dinner next week, including speakers, ticketing and how you can be involved! Looking At Landcare (23/2/2018) – Celebration Dinner!